During Earth Hour, people around the world show their solidarity with Mother Earth by shutting off their lights for 60 minutes. Reducing humanity's carbon footprint is a growing concern as climate change becomes more evident each year. The emission of greenhouse gases, particularly carbon dioxide and methane, eats away at the atmosphere and leads to global warming, drastically upsetting the natural balance that makes this planet livable for human beings. With climate change looming closely overhead, now is the time to take real, tangible action to save Mother Earth. 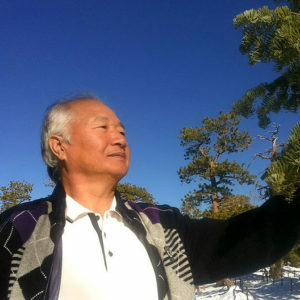 As Ilchi Lee teaches, recognizing your role as an Earth Citizen is key, as is spreading the word to raise awareness among others. That's precisely what the Earth Hour movement strives to do. 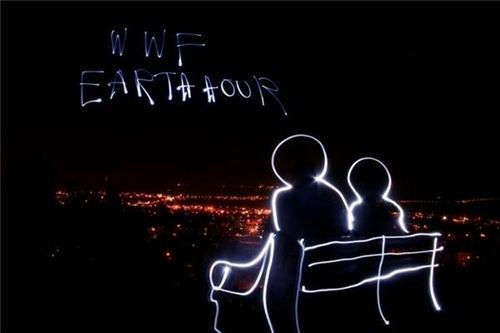 Earth Hour is a worldwide event that asks all people to turn off their lights for the same span of 60 minutes. It began in Sydney, Australia, in 2007, though today it is based in Singapore and is backed by the World Wildlife Federation. In the past eight years, has grown to reach 138 countries and territories around the globe. The aim is not to make a massive reduction in the amount of energy used within that one hour (though a massive amount is saved), but rather to raise awareness and, in effect, make a much larger, long-term environmental impact. In 2015, Earth Hour will take place March 28 at 8:30 p.m. local time. Join the millions of others who flip their light switches off to demonstrate their commitment to the planet. Earth Hour, by helping teach others about the drastic effects of energy consumption and waste, aligns with Ilchi Lee's teachings. People must put Mother Earth at the core of their personal value systems, as Lee explains in "Earth Citizen: Recovering Our Humanity." "Human beings need to acknowledge that their greatest allegiance should belong not to a human-designed government but to the power on which their very existence depends," explained Lee. "People must identify themselves as Earth Citizens before any other designation of identity. Through this simple, painless shift in thinking about ourselves and one another, I believe we can make great changes in the world and its destiny." With awareness, effort and a shift in our set of values, humans can help maintain the world's valuable resources and keep Mother Earth alive and well for future generations.